This post is inspired by and an examination of Robert Cialdini’s famed work Influence – The 6 Principles of Persuasion, an incredibly actionable, well researched and intentioned book which has become virtual bible of salesmanship and copywriting. You can get the entire Audiobook here FREE from Audible and help support Art of the Kickstart in the process if you are interested! Having recently completed Influence, a whopping 13 hour audiobook in addition to my experience copywriting and crowdfunding, I wanted to breakdown the persuasive sales concepts presented and distill them into high value Kickstarter strategies. Converting visitors is critical, engaging customers – a must. Science has some insights for your crowdfunding campaign. Let’s talk tactics! 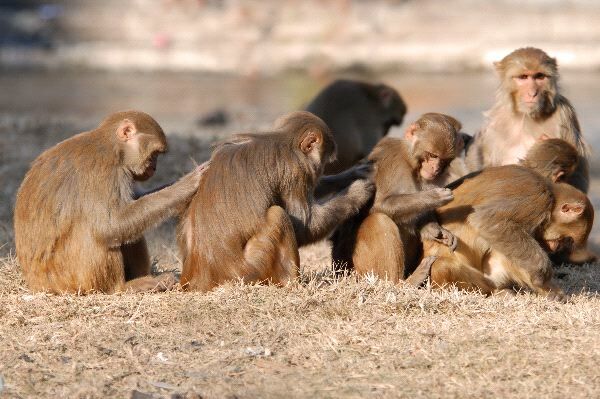 The group dynamics of human evolution is largely derived from the concept of reciprocation – you scratch my back, I’ll scratch yours. Think about the last unexpected favor you received. Someone who went out of their way to make your day, to help…whatever. Chance are, whether intended or not, the favor impacts you on more than just a situational level. Suddenly you feel COMPELLED to return favor. You go out of your way to “even the score,” and don’t want to “owe” them. The owe – oh no. Without even realizing it, you’ve entered into an un-agreed upon, unspoken social contract – the result of thousands of years of social reciprocation, something necessary to survive the harsh realities of pre-modern life. Sharing and caring when survival is uncertain is only smart when you know you will be rewarded. But back to crowdfunding, that’s what really matters – starting your business. How can innate desires to return a favor impact your startup’s success? To launch strong and play the game of reciprocal success, get backers engaged and “indebted” before launch. 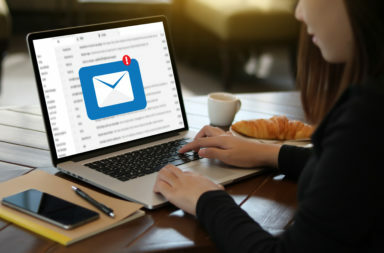 Whether that is offering an ebook(or something of value) free to collect emails, letting individuals test or try your product ahead of others or a small backyard BBQ launch party, all of these add exponential growth to your Kickstarter. And the results of reciprocation extend well beyond the crowdfunding campaign. Adding value to your backers’ lives will build a kickass fan base of sustainable support. 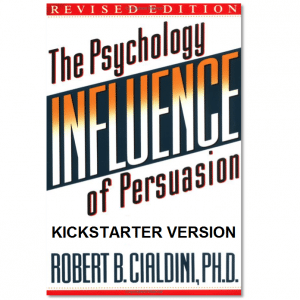 It would seem science and Mr. Cialdini agree with what Art of the Kickstart has argued all along, testimonials rock! To understand the power of social proof and maximize its effect, it’s important to understand its purpose. Social proof, plain and simple is a shortcut to decision making. There is so much information and constant clutter in our days. It’s impractical to research every decision and those we trust typically have our best interests at heart – it’s easiest just to follow suit. We’re also hardwired to want to fit in, an evolutionary instinct of survival – strength in numbers. Both of these form a the basis of social support. For you the entrepreneur, you need to get prospective backers to “see” themselves using the product. This can be challenging. Many crowdfunded products are innovative – new, original and unexpected. And whether it’s small changes to proven classic or a groundbreaking leap, pictures and videos of people using the product are huge. Using it in a variety of ways and social settings is key – make it relatable. Testimonials make it even more real. Get users and influencers(if possible) on camera using and supporting the product. Such a complex subject. On the surface, our culture values consistency and honesty – a word as good as gold, and we honor, respect and protect our reputation. But what happens when individuals manipulate this? Once a person’s made a choice, a statement or taken an action, whether correct or not, they’re somewhat stuck. Internal and external pressures to stand behind the decision only build. Not only will flip-flopping cause others question your character(think Mitt Romney), but you’re own head is against you as well. The opportunity cost, the time lost…everything you’ve put into your belief or action acts as reinforcement. All of these keep your life in-line with original decisions and start to shift the way you view yourself – they become part of your personality. And committed people rarely change. The athlete that exercises for life, the monk that never marries, the serial entrepreneur – our actions define us, both internally and externally. But by now you should be wondering what do war, propaganda and committed consistency have to do with crowdfunding. The answer of course is small steps. Get individuals committed to company prelaunch. 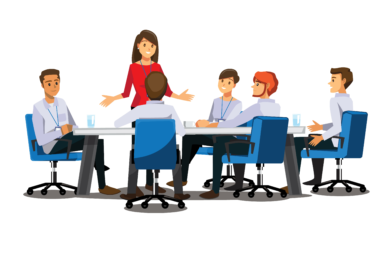 From testing products to asking opinions, every helper, whether knowingly or not, becomes a co-conspirator in your startup’s success. After lending help, expertise or any other manner of small favors, individuals feel MORE rather than less compelled to help your business succeed. They are mentally invested. The same is true of mentors, manufacturers, influencers and everyone involved with your startup. Start with small asks, small favors and build buy in over time. And for testimonials, focus on reasons. Why is someone excited about the product, why are they glad they bought, why would they recommend it to others? All of these have a greater emotional impact on potential backers and reinforce the reasons and benefits to buy, not only for prospects but individuals trying them out as well. Crowdfunding is creating such a stir, at least in large part because of the likeability of founders. I don’t know about you, but I’d rather buy from a business I can relate to. And the emotional power of likeability can make the difference – we act with either our head or our heart. According to researchers, there are several key aspects that influence the likeability of others. Let’s make you and your campaign a little more likeable. So, as wrong as it seems, having your most attractive cofounders on camera may in fact boost the success of your startup. At the very least, have pictures of pretty people using the product. Laughter always lightens the moods and improves the experience – it makes you more likeable as well. Infusing your campaign with a few well timed one-liners can ease the tension of sales and set backers in the mood to buy. Don’t force funny though or it will feel fake. The awkwardness of an ill-timed or poorly delivered joke can be just as devastating. Ego is inherent to all of us. We know, like and trust others more when we can relate. For your company, this means building a brand around your ideal customers. Your brand, not your product lures fans and repeat customers to the company. From images to ideas, words, mission statements and writing styles, the way you portray your startup and yourselves is crucial. Get target customers to preview the product, campaign and video before going live. Ensure it hits home with your demographic before launching. It’s easier to follow than to lead. And the process of blindly following authority simplifies decisions, daily life and frees time for other pursuits. The results of just how far individuals will go when following and without questioning “superiors” or supposed “experts” is extremely disturbing however, shocking in fact(pun intended). 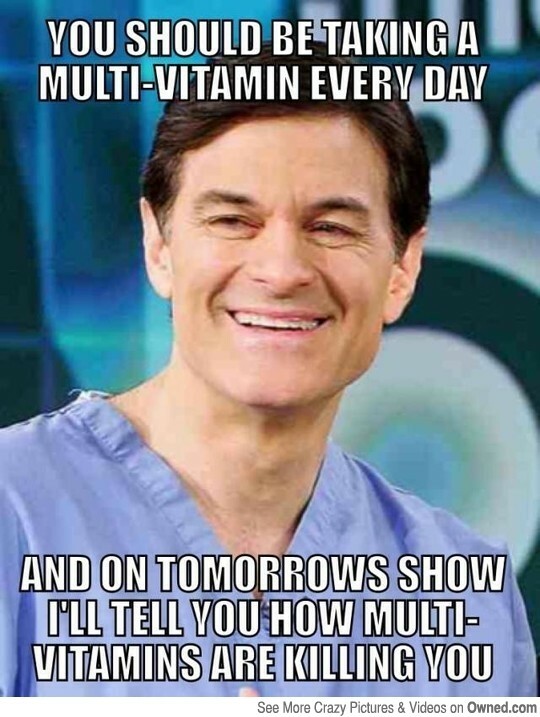 And after careful consideration it makes complete sense: doctors advertising health supplements, scientists selling prescription drugs…The examples of authoritative action are all around us. As an entrepreneur it pays to take note. Fancy titles and flashy degrees, even when patently false lend credibility and credence to products. Building trust is a bulletproof approach to business success. Whether it is a scientist, a doctor, a teacher etc… get someone who supposedly knows what they’re talking about and add their voice of support to your startup. Nothing is worse than missing out. Limited availability and the possibility of loss are powerful motivators that lead people to act irrationally – think Black Friday brawls. Marketers and psychologists have known this for decades, it’s time you implemented it in your own business as well. Real or controlled scarcity creates these same instinctive desires, even to this day. Threat of missing out simulates(to a certain degree) a life or death, now or never situation that can send individuals into a buying frenzy. 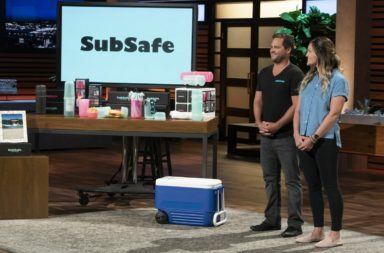 As an entrepreneur this is AWESOME. Early bird specials engage this for crowdfunders. People, perhaps even individuals on the fence, feel a stronger compulsion to buy and avoid missing a deal. This limited availability jumpstarts backers buying and boosting your campaign from the get-go. There are other scarcity tactics for startup crowdfunders as well. Limited editions, when done well can have the same effect. Being one of only 10, a 100 or a 1000 people in the world to ever own an edition of product feels pretty cool. This brings backers in bigger numbers and increases the perceived value of products. For limited product variations remember two things: the added effort and order quantities and the lack of added future sales. Still worth it? If limited editions are part of the plan, make sure you execute. Special products should look awesome especially to raise the prices and the traditional Kickstarter green and black Kickstarter looks pretty crappy on most products. While on the topic of scarcity, isn’t the entire concept of a Kickstarter campaign scarce? For 30 days ONLY, have the highly sought after opportunity to get our XYZ awesome, never before seen product BEFORE ANYONE ELSE. It is this pressure coupled with the fact that campaigns MUST reach their goals to deliver that leads to such high success rates following fast starts. Stats suggest 30% may in fact be the tipping point as only about 10% of campaigns fail after reaching this height. Does your product help people? Does it make people happier, healthier, wealthier or in some way improve their quality of life? If the answer is yes to any, are you not somewhat obligated to put forth your best effort to positively impact the largest number of people? One of my favorite business reads of all time. Ton of marketing, sales, and copy writing strategy in there that's still completely relevant now.